New Beauty On The Shelf.. 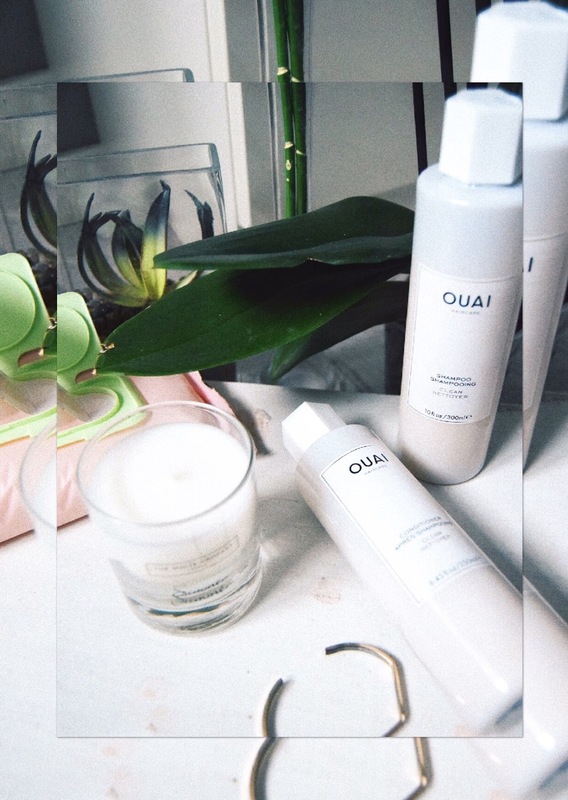 The first items I picked up was courtesy of Ouai - a haircare brand I've heard floating around the blogosphere for a while. I'd see in a couple of Lily Pebbles vlogs that she'd used these and said they were fab.. so casually I jumped on the bandwagon. 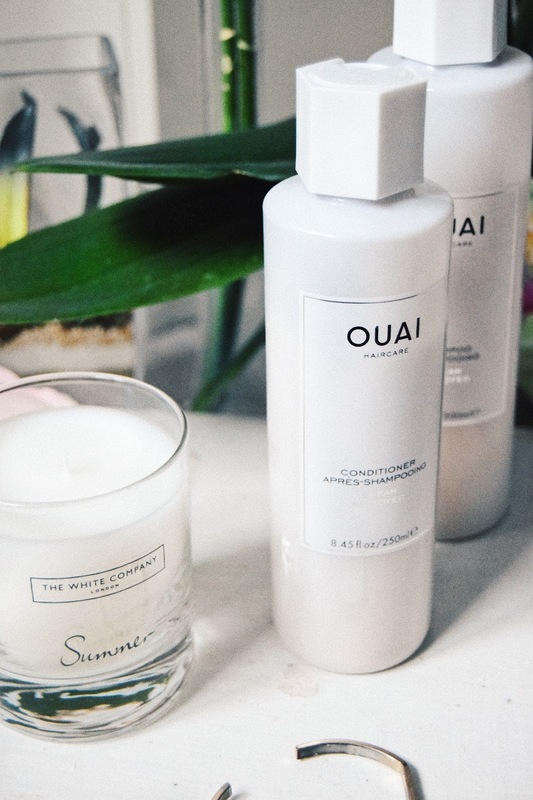 As a person who suffers with hair that gets greasy extremely quickly, I've been looking for that miracle combination that makes my hair last longer than a day with about looking horrible. 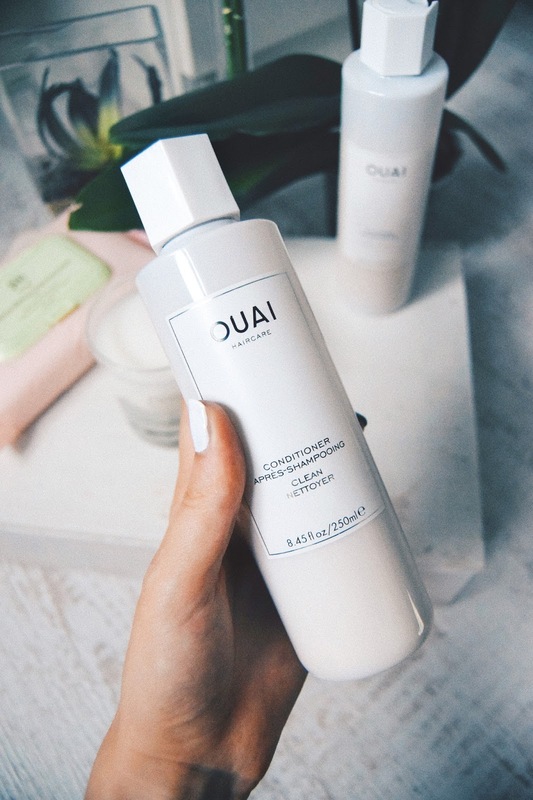 They had a variety of Shampoo/ Conditioner 'types' ranging from 'Curl' to 'Smooth', but ultimately I decided that I really wanted a shampoo/ conditioner that properly cleans my hair and gives it that boost to maintain the cleanliness. I'll be honest I've used it twice now so cannot give a proper opinion, that I'll do once I've finished.. first impressions? smells good and my hair seemed to feel more weightless in the morning. Check back in a few weeks and I'll make sure to do some kind of in depth review! So yes, I will admit I paid £10 for face wipes that cost about a £1 everywhere else BUT look how much prettier they are?! lol. As I wondered away with my shampoo and conditioner in hand in Harvey Nichols, naturally my eyes were drawn towards Pixi. 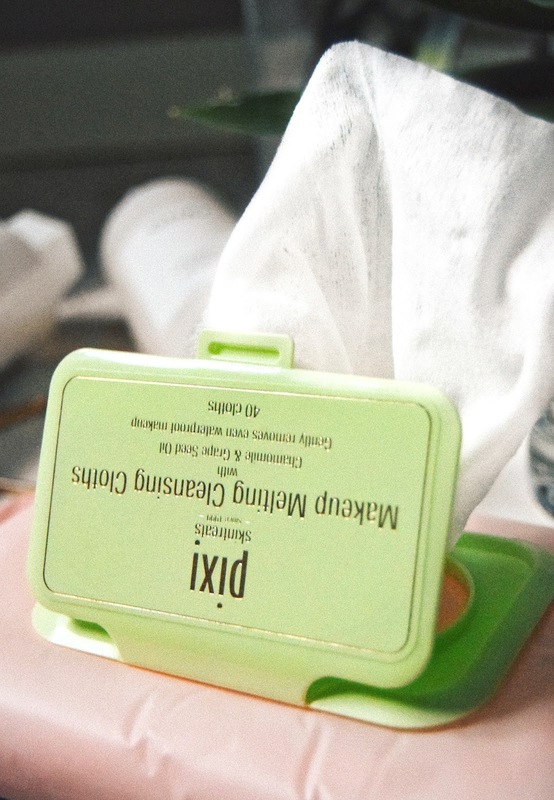 Having never bought anything from them, the pretty pastel pink of these wipes were in my hands before I'd even read what they are. They are basically cloths that remove even heavy duty makeup, like waterproof mascara - but also cleanse. I've used a few of these now and yes, they do a good job of removing all makeup but I cannot get over the fact they always feel incredibly dry. That means a lot of rubbing of my eyes. I do think though it may be just the pack I got, because the seal was ever so slightly open when I bought them (the original pack I picked up was swapped by the cashier because the barcode wasn't scanning!) SO, I'm thinking perhaps they have dried a little because of this. On the whole though, even when I've had think eyeliner on, it got it off pretty well so no regrets on the whole for my purchase! 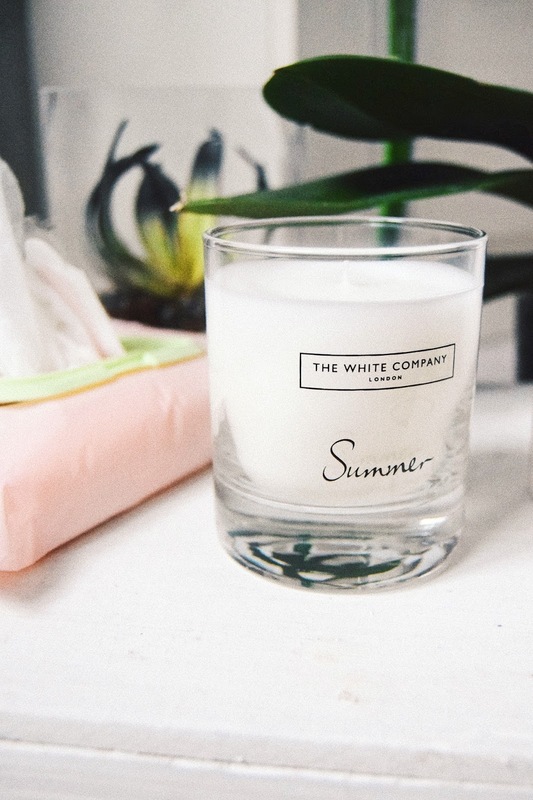 Naturally, as it is now Summer and The White Company had 20% off this candle, I couldn't help but buy it. I previously had the 'Winter' version burning throughout December last year, so naturally it'd be rude of me to not have this. I'm very bad at describing scents, but this is a very light fresh smell. On the website it's described as ''like a fresh breath of salty sea air on a rugged English cliff top'' and we'll leave it at that shall we?! 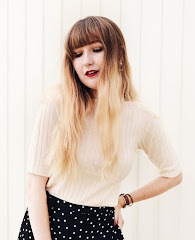 Its Been (Over) Three Years of Blog Eighteen! 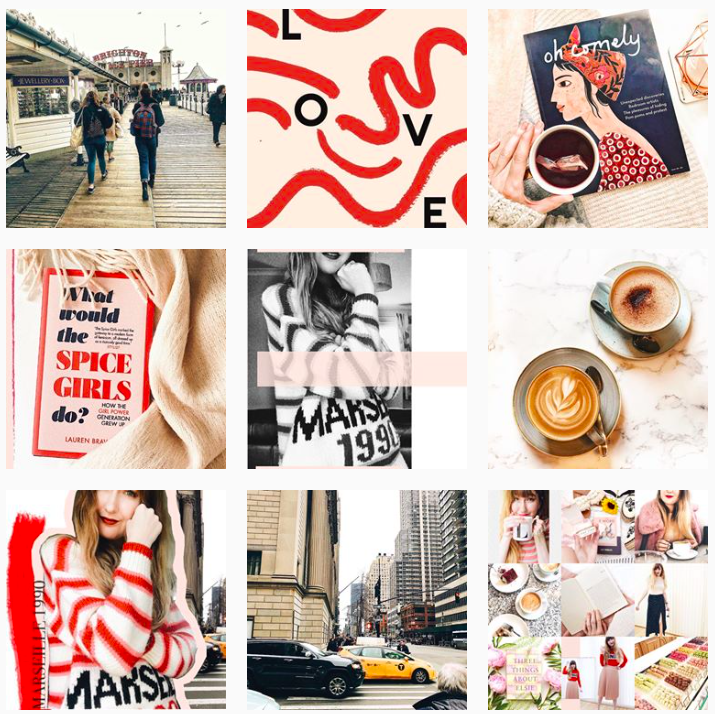 Is 'Blog' Me The Real Me?